.Sellers Comments - This Land Rover has been modified and is running with a Daihatsu turbo diesel engine and running gear. The V5 registration document states 1955 Series 1 Land Rover, which means it is tax exempt and does not require an MOT test. This has not been modified by "Dave and his mate in the shed" (no offence Dave) but by professionals with experience in off roading. It has the fuel tank in the cabin behind the seats, a full substantial roll cage, an ignition system suitable for off roading which has switches to manually turn on and off the ignition and fuel, with a stop start button. It has high/low mid range setting that are selected for gearing, as well as the 5 regular road gears. The soft top can all be removed from the cabin very easily. There are galvanised metal plates where necessary. Everything about it has been built to be strong as an ox and everything is finished very nicely to a high standard. It is a proper piece of kit that will not disappoint. It must have cost a fortune to build, along with the initial purchase of a Series 1 Land Rover, which is not cheap. 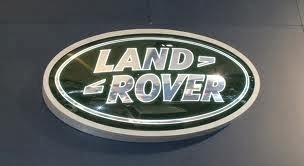 Everything on the Land Rover is in perfect working order. The mechanics are fantastic. The gear box, brakes, suspension, steering are all great and the engine doesn't burn or use any oil etc and has loads of power. There is no rot anywhere on the car and it has seen few miles since being built. The car currently sits with the odometer reading just shy of 23,000 miles, it has 10 previous owners on the V5 document and it has MOT until December 2016 with no advisories.